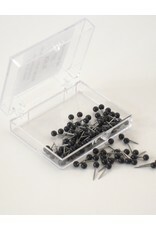 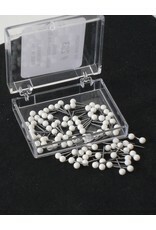 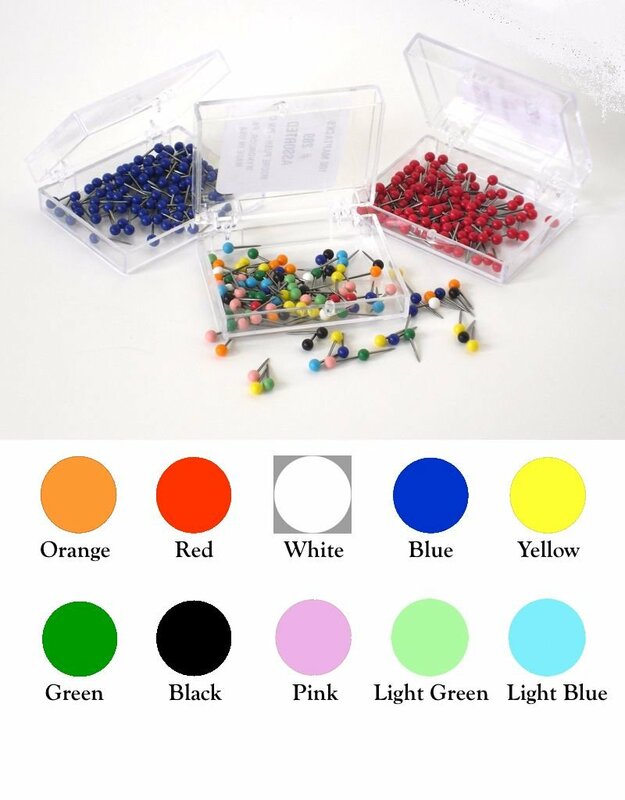 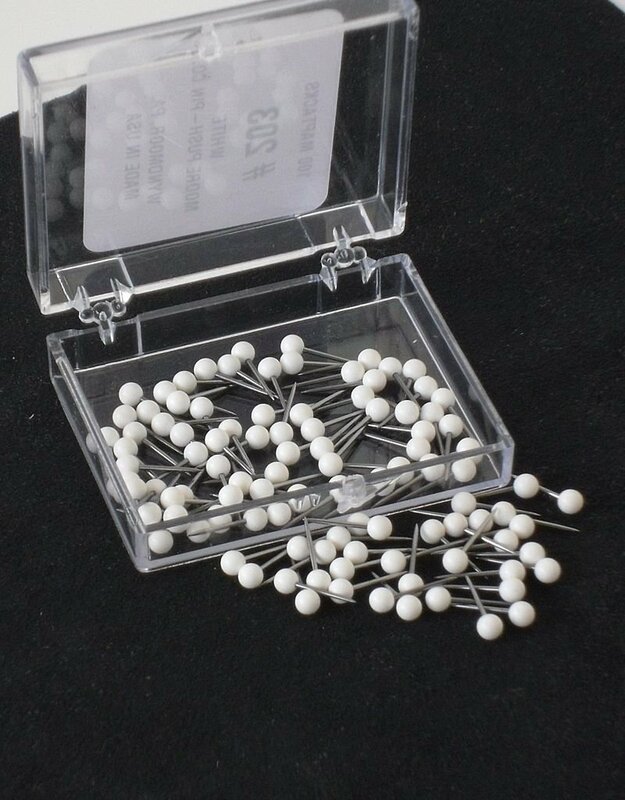 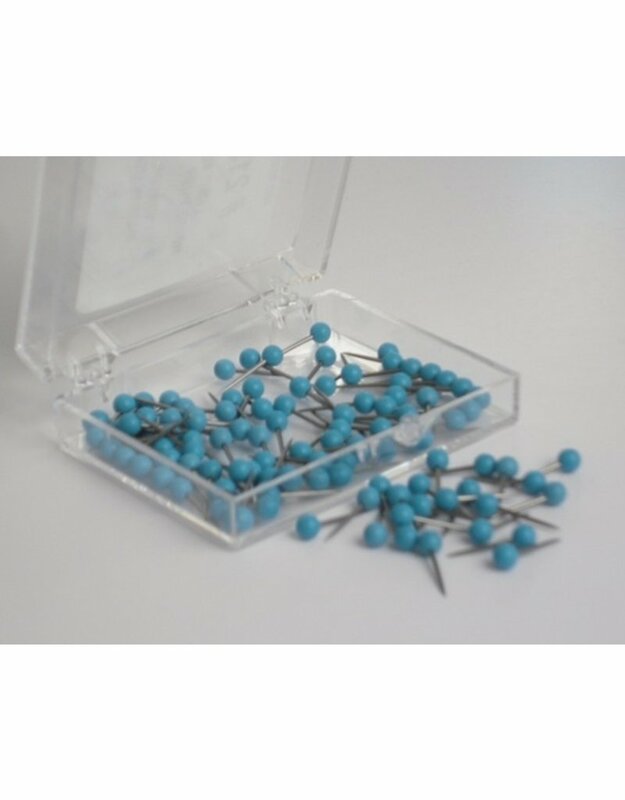 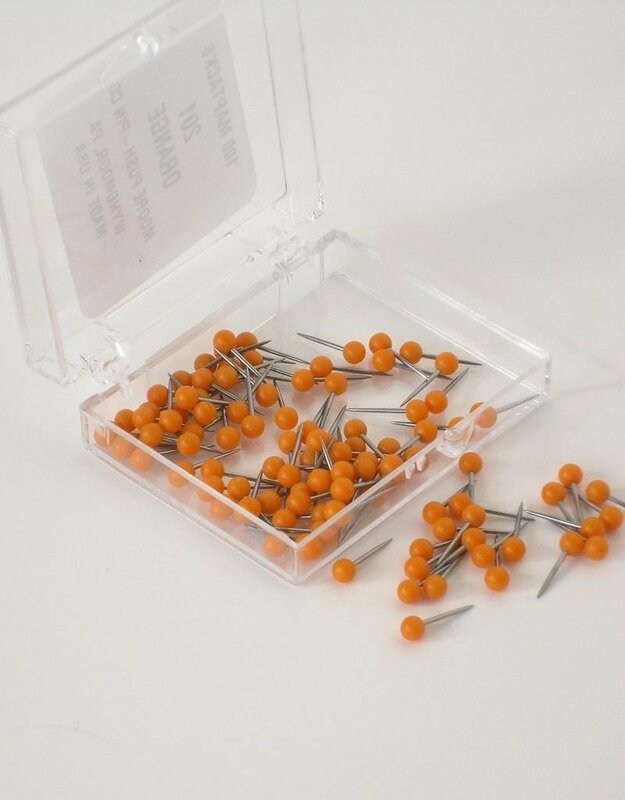 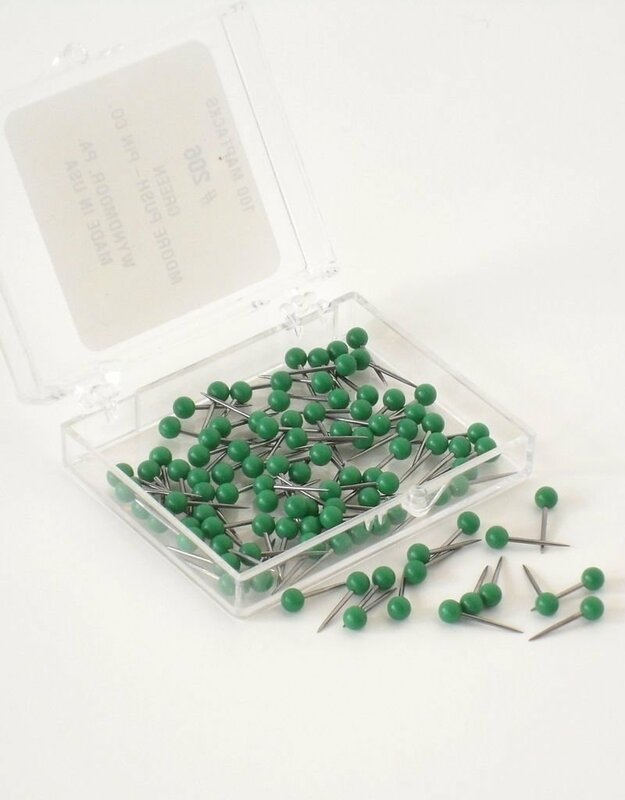 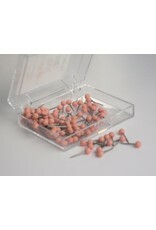 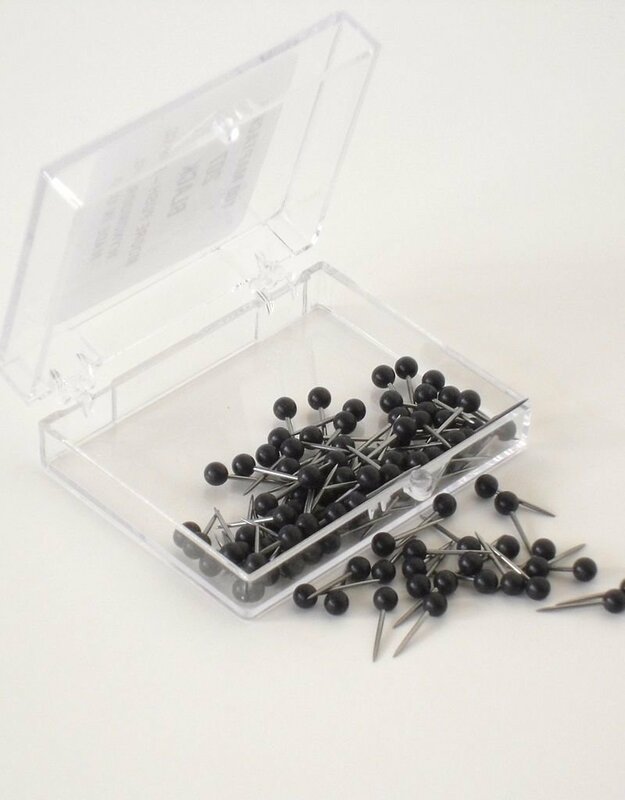 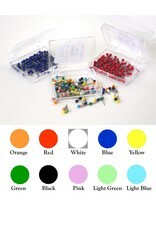 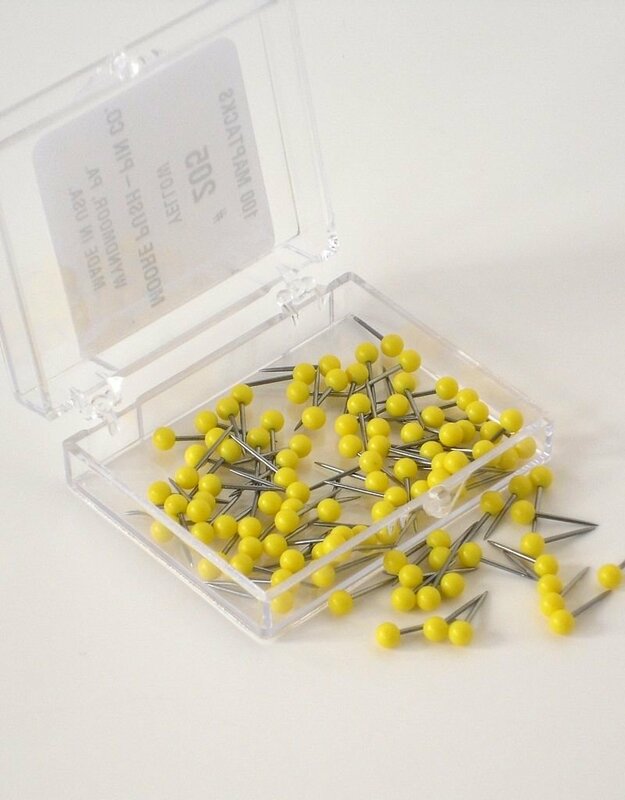 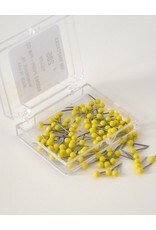 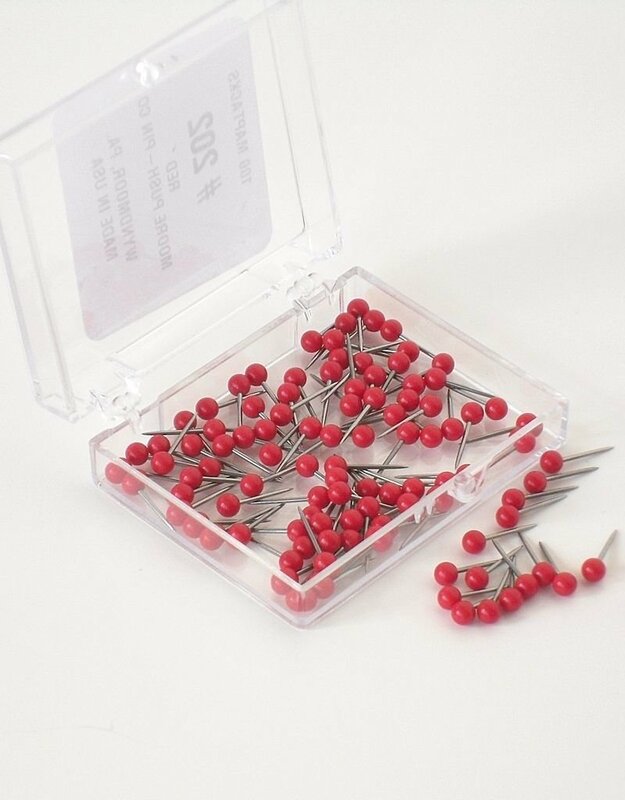 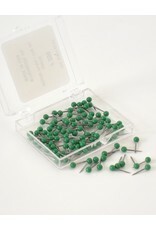 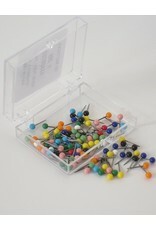 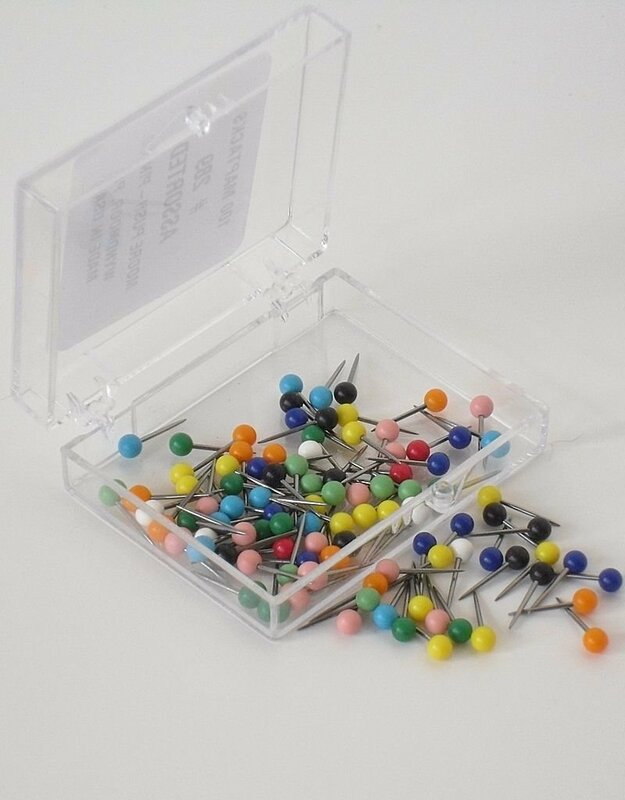 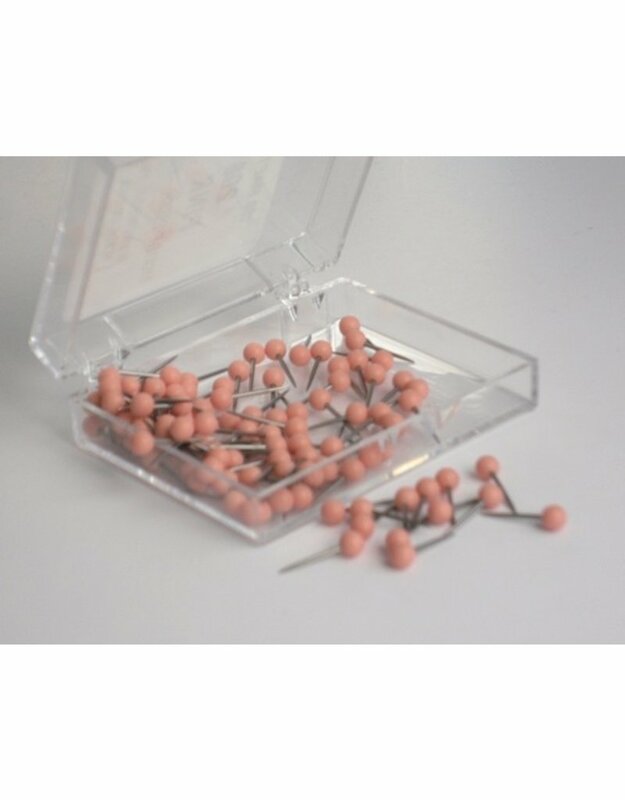 Moore Push Pin #200 Series, Spherical solid color map tacks. 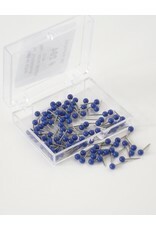 Nominal size per the manufacturer is 1/16 inch. 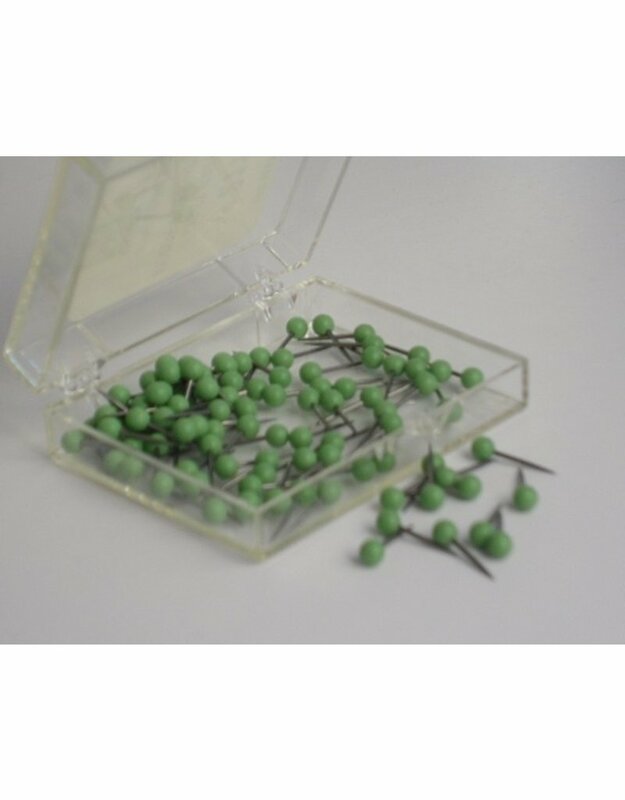 They look like 1/16 inch. 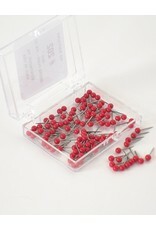 Measured size is 3.4mm, 17/128 inch. 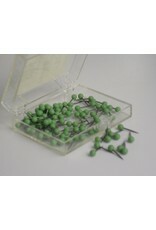 Point is 5/16 inch long.